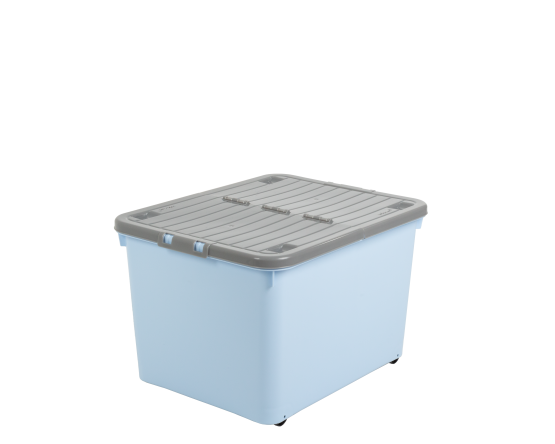 High quality wheeled storage box. Double wheeled with reinforced corners for extra stability and strength. Folding split lid for ease of access to contents. Stackable when in use and will nest together when not, saving on space.